In a twenty-first-century global economy, in which multinational companies coordinate and collaborate with partners and clientele around the world, it is usually English that is the parlance of business, research, technology, and finance. Most assume that if parties on both ends of the conference call are fluent English speakers, information will be shared seamlessly and without any misunderstanding. But is that really true? Words Matter examines how communications between transnational partners routinely break down, even when all parties are fluent English speakers. The end result is lost time, lost money, and often discord among those involved. What’s going wrong? Contrary to a common assumption, language is never neutral. Its is heavily influenced by one’s culture and can often result in unintended meanings depending on word choice, a particular phrase, or even one’s inflection. A recent study of corporate managers found that one out of five projects fail primarily because of ineffective transnational communication, resulting in the loss of millions of dollars. 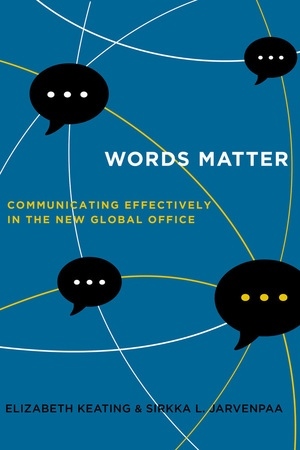 In Words Matter, you will venture into the halls of multinational tech companies around the world to study language and culture at work; learn practical steps for harnessing research in communication and anthropology to become more skilled in the digital workplace; and learn to use the “Communication Plus Model,” which can be easily applied in multiple situations, leading to better communication and better business outcomes. Elizabeth Keating is a professor at the University of Texas, Austin, and an award-winning scholar in the field of linguistic anthropology. She has researched communication and design practice among engineers, mathematicians, doctors, and programmers and has also studied the impact of new communication technology on deaf families and their interactions with sign language. Sirkka L. Jarvenpaa is an award-winning scholar and professor in business administration at the University of Texas, Austin, where she also directs the Center for Business, Technology, and Law. She studies and writes about virtual organizations and teams as well as global electronic commerce. 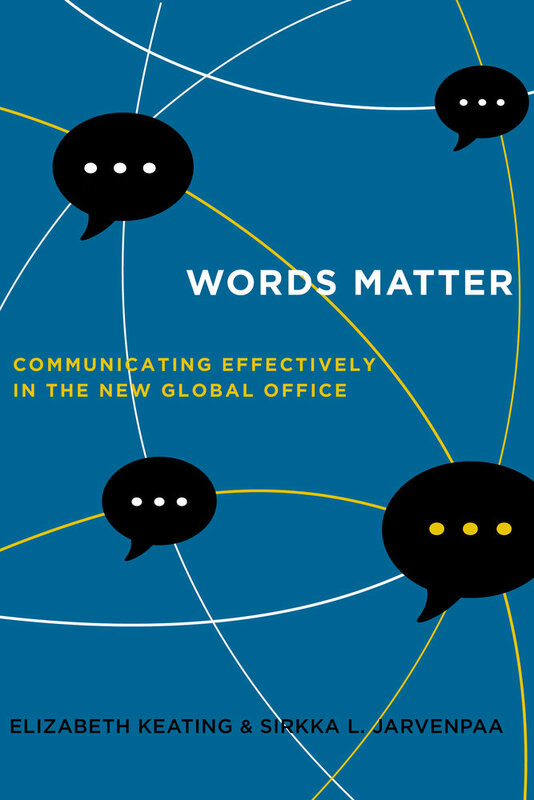 “Words Matter is a great resource for anyone involved with global or remote teams. . . .The solution lists in each chapter are lights along the path which provide a better communication strategy, no matter the size of your business or its goals. I strongly recommend this book for leaders in today's global technology ecosystem. . . .”—Tonya Browning, Vice President, UX Engineering. "This well-written, thoughtful book is geared towards business men and women who work in global teams, offering linguistic anthropological insights into how they might improve their cross-cultural communication and avoid mishaps. Miscommunication is often so frustrating and opaque when you are in the middle of it. These authors use succinct and to-the-point examples to illustrate how and why miscommunication in global workplaces happens so easily, and so frequently. The authors provide superb analytical tools and thoughtful suggestions for improving communication across cultures and continents. "—Ilana Gershon, author of The Breakup 2.0: Disconnecting over New Media. 6. When Is Fruit a Vegetable? 8. Is a Burrito a Sandwich? 11. What Have You Done for Me Lately? 30. That’s My Mother You’re Talking About!